An exceptional beauty, Bianca Cappello was born in 1548 into one of Venice's wealthiest and most noble families, and was promised in marriage to a Doge three times her age. Rather than marry him, she eloped to Florence in 1563 with Pietro Bonaventura, a humble but handsome Florentine bankers’ clerk whom she espied passing beneath her window, an impetuous act of love that called down the full fury of the unsentimental Venetian Senate. The young couple were sentenced to death in absentia and attempts to drag Bianca back to Venice were thwarted by Cosimo I.
Bianca's youthful indiscretion was forgotten even by the Venetians, however, when Cosimo's son and heir, Francesco, fell in love with her at first sight (apparently he too had been looking out a window and fell in love at first sight). Francesco had a lugubrious, obsessive character, but unusual for future Grand Duke was fascinated with fireworks, porcelain and other sciences which he explored in his private Studiolo in the Palazzo Vecchio. By the time Francesco was felled by Cupid's arrow, Bianca had become disillusioned with her humble clerk and his family, who expected her to do housework and other menial tasks. Francesco was also inconveniently married to the Habsburg Duchess Joanna of Austria. The political marriage had been one of Grand Duke Cosimo's greatest diplomatic feats, but there was no love lost between the two, even though she gave him six daughters, two of which survived to adulthood (the youngest, Marie, would marry King Henri IV of France) and a son, who didn't. Francesco brought Bianca lavish gifts of money and jewellery. She didn't play too hard to get. By 1569 he had begun a pleasure villa and garden for her delight at Pratolino. Francesco gave Bianca's husband Pietro jobs to keep him quiet, and installed the couple in the Palazzo Rucellai (now Venturi-Ginori), next to the famous Orti Oricellari, which had become overgrown since the closing of the Platonic Academy. Bianca restored the gardens, where she and Francesco held delightful parties for their friends. In 1572, Pietro was murdered on the Ponte Santa Trinita, by the family of his mistress (they killed her too), although the unpopular Francesco . Cosimo died two years later, and Francesco became Grand Duke, and no longer had to be discreet about his mistress, setting her up near his Pitta Palace residence at the Palazzo di Bianca Cappello, much to Joanna's fury. In 1576, Bianca gave birth to a son, Antonio. Two years later, Joanna died, age 31; rumours of course spread that Francesco and Bianca had her poisoned.. Months later the Grand Duke married Bianca secretly in the Palazzo Vecchio, then publicly with great ceremony in the Duomo (Bianca's carriage, it is said, was pulled by lions) when she was crowned Grand Duchess of Tuscany. The Venetians, keen to cement better relations with Tuscany, participated in the celebrations and proclaimed Bianca ‘the adopted and beloved daughter of our Republic’. 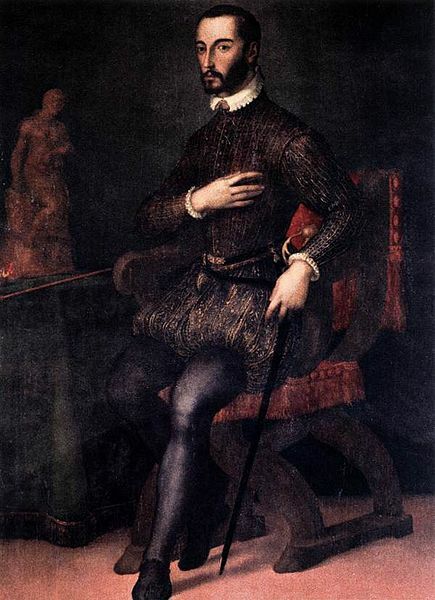 Although Francesco eventually recognized Don Antonio as his son, the pressure was on Bianca to produce a legitimate heir to the Tuscan throne. 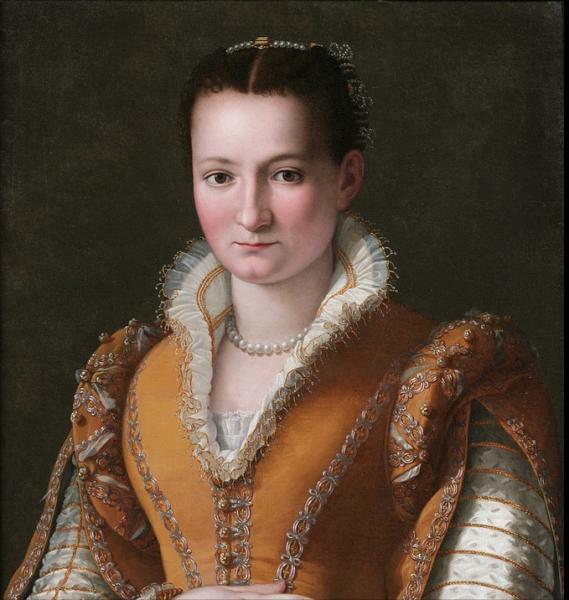 At the Medici court, she was surrounded by enemies, who considered her an interloper. Francesco's brother, Ferdinando, loathed her (and him). Bianca asked brother Vittorio to join her in Florence; the Florentines suspected him of being a spy. In 1587, Francesco and Bianca, who had joined Ferdinando on a hunt at the Villa Poggio a Caiano, suddenly died a day apart—ironically, for the Grand Duke’s favourite hobby was alchemy, and the rumours said he spent his time brewing poisons from the crates of snakes and scorpions his agents sent from around the Mediterranean. Ferdinando said the cause of death was malaria, but arsenic was suspected from the start. Always hating Bianca, the story circulated that she had baked an arsenic-laden tart to give to Ferdinando, only Francesco had eaten it first, and in despair, she ate some, too. Francesco is buried in the Medici Chapels; Bianca's body was never found. But for centuries, historians have tried to pin the murders on the person at the scene who had the most to gain: Ferdinando. Tests on Francesco's remains suggested malaria although traces of arsenic were found in his facial fair. Then recently some of Bianca's internal organs were located in some broken jars in the crypt of the church of Santa Maria a Bonistallo, near Poggio a Caiano. Testing showed they were laden with arsenic, and when Francesco's organs were tested, the result was the same. The current verdit is that someone, probably Ferdinando or someone in his employ, gave Francesco and Bianca small doses of arsenic for several days until they died.